The condition is a constellation of ﬁndings in the blood reﬂecting impaired lipid, fat, and glucose metabolism. It is not a symptom or a speciﬁc disease state but rather a marker of dysfunction. The following criteria are used to deﬁne metabolic syndrome and represent a great imbalance in the body as it attempts to compensate for outside inﬂuences. According to the the National Cholesterol Education Program (NCEP) when three or more risk factors are present then a person qualiﬁes as having metabolic syndrome. This is an important prognostic indicator: having metabolic syndrome is associated with two times the risk of developing cardiovascular disease and four times the risk of developing Type 2 Diabetes. By correcting the imbalances that lead to the metabolic syndrome one can reduce their risk of heart disease, stroke, vascular disease, and diabetes. How is Metabolic Syndrome Developed? Glucose is the basic fuel for all cells in the body to make energy. Glucose can only be put to use by the cells once it gets transported into the cell. When things are in balance, the body maintains blood glucose levels in a fairly narrow range through the production of insulin, a hormone that stimulates cells to uptake glucose from the bloodstream into the cell. When insulinʼs production and sensitivity on target cell receptors is functioning, blood glucose levels remain normal. However, in many individuals, the action of insulin to signal the uptake of glucose into the cell is impaired. This condition is referred to as “insulin resistance”. Glucose levels may rise (called hyperglycemia, too much glucose in the bloodstream). The body’s response to this is to produce more insulin in an attempt to maintain normal blood sugars. Insulin levels in the blood will be higher than normal to try and keep glucose levels in check. Insulin is a major hormone in the body involved in a multitude of functions including growth and development, maintenance of glucose control in cells, organs, and blood and lipid metabolism. When there is insulin resistance or a decreased response in the tissues to insulin, a cascade of events occurs. Elevated insulin levels directly stimulate production of fats and smooth muscle in arteries, contributing to atherosclerosis (thickening and plaque build up in vessels, causing blockage). There is decreased breakdown in the clot formation which may be associated with clot in coronary or heart vessels. There is increased production of triglycerides and inhibited production of healthier cholesterol such as HDL. Insulin resistance is likely related to, and a cause of, a signiﬁcant proportion of hypertension and coronary heart disease seen in our population today. Obesity is a major cause of insulin resistance today. Visceral fat that accumulates (fat around the belly area) acts as a mediator creating inﬂammation in the body and adding to the insulin resistance syndrome. This cycle of inﬂammation and stimulation of increased insulin makes weight loss difﬁcult in the obese or severely overweight patient. It is imperative to address markers of insulin resistance in inﬂammation when attempting weight loss management. Being obese is not the only risk associated with developing insulin resistance. Insulin resistance may be associated with other things such as exposure to toxins, the standard American diet (high in saturated and inﬂammatory fats), medications (such as Lipitor and other statin drugs), substance abuse, and alcohol abuse. Not all obese patients will develop insulin resistance. Not all patients with insulin resistance develop diabetes. Currently 35% of our population is obese. This number is expected to rise. With this number in mind it is overwhelming to think about the number of people at risk for developing diabetes. Current research associates the development of insulin resistance and Type 2 Diabetes with other conditions. The exact association and/or pathophysiology of some of these is not yet well understood but should serve as a motivator to treat and cure metabolic syndrome. Treatment plans always begin with therapeutic lifestyle interventions and will differ for each person. Dietary changes to minimize insulin resistance. Examples include eliminating all reﬁned sugars, ﬂours, sweeteners, sodas, processed foods. Dietary changes to increase the sensitivity of insulin. Examples include reducing the glycemic load of foods and increasing soluble ﬁber in the diet. Nutritional supplements to promote optimal glucose use, insulin sensitivity and reduced inﬂammation and may include high potency multivitamins, ﬁsh oils, or chromium. Herbal supplements such as green tea, cinnamon, and many other possibilities. Lifestyle plans including altering the timing of eating, and meal consolidation. Exercise prescriptions with options for personal training to develop more sustained patterns and practices of exercise. 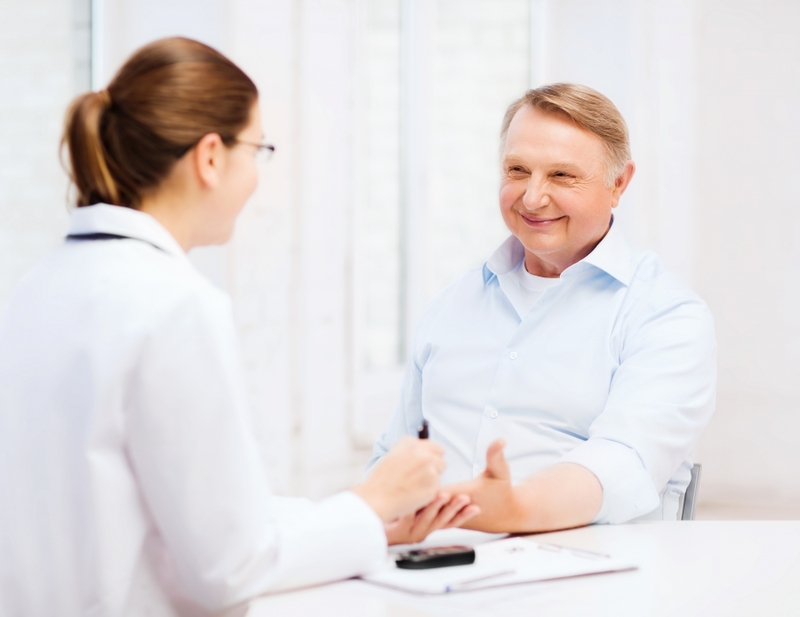 Balanced Well-Being Healthcare provides a medically supervised treatment of many metabolic conditions through a careful diagnosis of your condition and a complete integrative medical plan. Functional medicine can help: call us today to schedule your initial consultation!